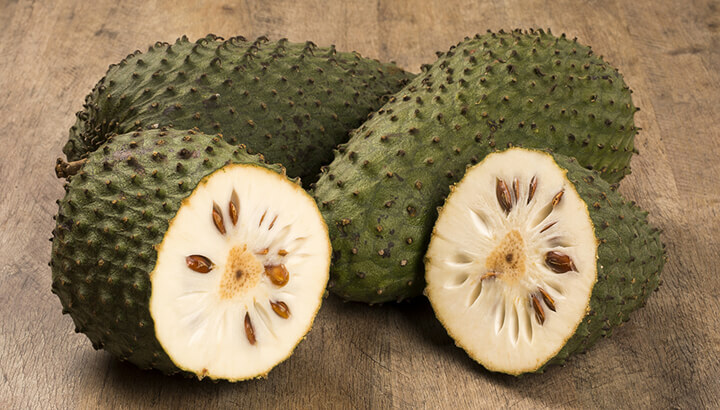 Can The Graviola Fruit Treat Cancer? In a quest to cure cancer, many people turn to alternative remedies. Graviola, although studied for decades, is making its rounds on the internet as being a natural cure for the deadly disease. But what does modern-day science say about this sweet tropical fruit? Read on to find out the truth behind graviola and its cancer-fighting potential. Graviola (Annona muricata) is a rainforest tree that goes by several names, including soursop, guanabana, custard apple or Brazilian paw paw. This small evergreen tree with glossy dark green leaves grows edible heart-shaped yellow-green fruit that’s white on the inside. It’s sweet flesh has a distinctive flavor, making it commercially viable for juice, candy, sorbet and ice cream. But the leaves and stems are also used in traditional medicine for symptoms associated with inflammation and infection. Graviola is a traditional cancer treatment in Trinidad. According to MedIndia, tea made from Graviola leaves has long been used in the Amazon region to treat liver and stomach ailments. Another tea made from the bark, leaves and roots are used as a sedative and antispasmodic to calm the nerves. It’s also used to reduce high blood pressure. But one of the most intriguing claims about graviola is that it is a potential cure for cancer. However, this isn’t new research. Scientists have been studying the active compounds and chemicals in graviola since the 1940s. In fact, most of the research on graviola focuses on chemicals called annonaceous acetogenins that have anti-tumorous properties. Research suggests that these properties can destroy malignant cells in 12 different types of cancer including prostate, breast, lung, colon and even pancreatic cancers. 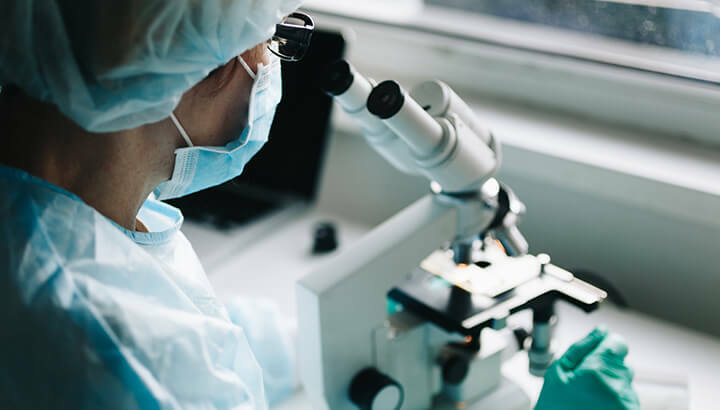 Pancreatic tumors, for instance, are resistant to conventional chemotherapies, which is why pancreatic cancer has the highest mortality rate compared to all other major cancers. But a study published in the journal Cancer Letters shows that Graviola extract containing acetogenins prevents multiple signaling pathways that regulate metabolism, cell cycle, survival and metastatic properties in pancreatic cells. Together, these changes lead to a decrease in progressively growing tumours. And that shows huge promise in fighting pancreatic cancer. Studies have shown that graviola extract can kill cancer cells. 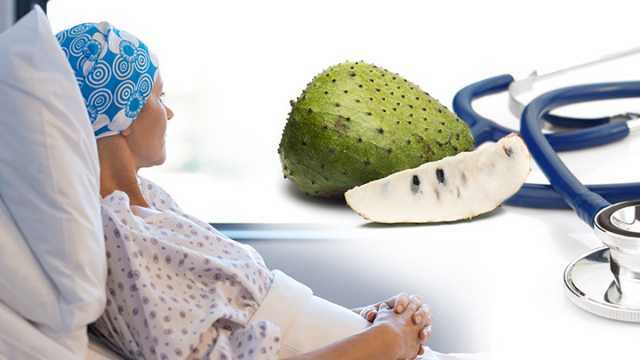 A 2016 study published in the European Journal of Pharmaceutical and Medical Research claims, “Soursop leaves can inhibit cancer cells and cure cancer more quickly and effectively than chemotherapy.” In fact, the study goes on to suggest that research has proved that the fruit’s active ingredient is 10,000 times stronger than chemotherapy in fighting cancer cells. 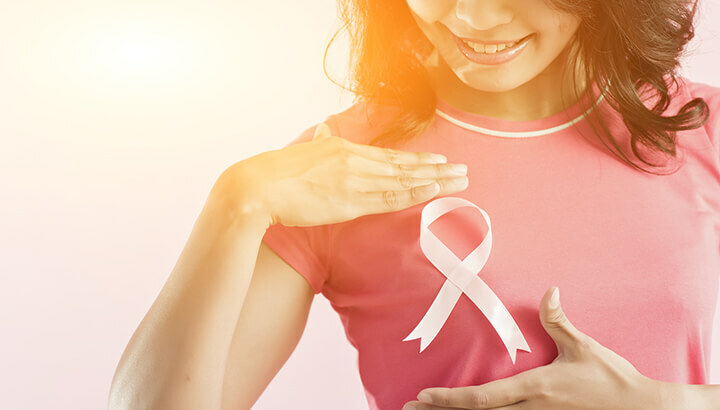 Meanwhile, an older study from Purdue University published in the Journal of Medicinal Chemistry also suggests that fruit compounds tested on breast cancer cells were more effective than chemotherapy in destroying the cells. The Cancer Treatment Centers of America cautions against using the fruit to treat cancer since it lacks human trials. But, realistically, the main compound (acetogenin) that shows so much cancer promise may never be studied in humans because of its toxicity. When used orally, graviola is considered unsafe, because studies show that substances derived from graviola can damage nerve cells and cause neurological side effects similar to Parkinson’s disease. According to a case-control study in the French West Indies, 22 patients out of 87 had Parkinson’s disease, which is believed to have developed from drinking tea made from the leaves of the graviola tree. In addition, another study also suggests that tea made from the leaves and stems of graviola may be linked with neurotoxicity. And yet again, another study published in the Journal of Neurochemistry demonstrated that chronic systemic exposure of graviola’s main extract (annonacin) to rats brought on neurodegeneration in the brain. Memorial Sloan Cancer Center (MSCC) agrees that extracts of graviola can be effective against several viruses, bacteria and parasites in test tubes, and that lab studies have shown graviola to be effective against some types of cancer cells. However, it may be hard for anyone thinking about taking graviola to move past the studies that suggest it can cause Parkinson’s disease. In addition, there are also side effects to consider. The many health benefits of graviola are thought to come from its antioxidant, anti-inflammatory, antimicrobial and antiviral effects. Before taking graviola it’s important to understand that it also has some adverse effects. Because the plant has not yet been clinically researched in humans, it’s hard to determine how graviola affects the body. are taking blood pressure or diabetic medications, as graviola may increase their effects. have liver or kidney disease, since graviola can cause liver and kidney toxicity with repeated use. are having nuclear imaging, since graviola can reduce tissue uptake of radiopharmaceuticals used for diagnosis or treatment. have low platelet count, since graviola may reduce platelet count. Alternative treatments, like graviola, may work for some forms of cancer. Although graviola may show great potential as an anti-cancer agent, there have been no clinical trials or studies in humans. Most studies regarding its health benefits have been conducted on lab animals. So, the use of graviola for cancer treatment remains a topic of debate. Yet, even though clinical evidence lacks human trials, a pharmacology study from the University of West Indies found that in some Caribbean countries, graviola is one of the most common herbal remedies used to treat prostate, breast and colorectal cancer patients. The search for alternative cures for cancer has been ongoing for many years — and has been hotly debated. Although many effective, natural ways to treat the disease makes news headlines, they’re often swept under the carpet by mainstream medicine. It’s also important to realize that many claims are made about alternative cures that may not truly work or work for every person. Here’s the bottom line: if mainstream medicine offers no hope, and your doctor gives you the green light, look further into an alternative treatment that could potentially save, enhance or extend your life. Hey Buddy!, I found this information for you: "Can The Graviola Fruit Treat Cancer?". Here is the website link: https://www.thealternativedaily.com/graviola-fruit-for-cancer/. Thank you.